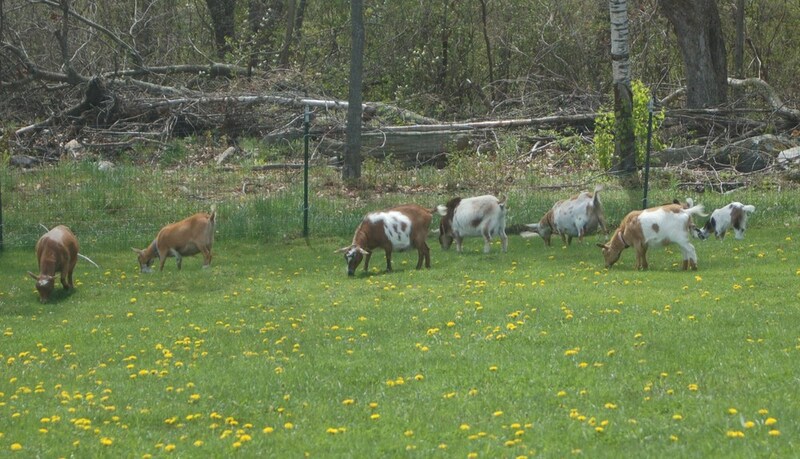 We are a small family farm located in East Killingly, CT where we raise Nigerian Dwarf dairy goats , Experimental Mini- Obian's (Oberhasli/Nubian/Nigerian), LaMancha and Mini Mancha's (LaMancha x Nigerian Dwarf). We welcome farm visits by appointment. We are a small family farm in eastern Connecticut raising Nigerian Dwarf dairy goats, LaMancha , Mini Mancha and experimental miniature dairy goats for pleasure and family milk. We take pride in carefully maintaining all of the animals we are entrusted with to the best of our ability. We use the rich, creamy milk as our families milk supply as well as use it in our soaps marketed under the trade name of Sparrow Soaps which is a team effort with my very good friend Michelle of Kingdom Kids Farm. Along with our small dairy herd we also manage a small flock of a variety of laying hens, several riding horses and ponies , two dogs and several barn cats. Our garden has also been growing by leaps and bounds over the past two years and so any surplus veggies are sold at our farm stand "The Barry Farm Stand" located between our son's farm and our own. Open since the summer of 2015 the farm stand includes a small sampling of our goats milk soaps and a variety of recycled relics. Our son and daughter-in-law also are aware of the growing need and desire for raising your own food and so have started raising meat chickens for our family. Everything we do on our farms is done with good stewardship in mind. We are thankful for all we have been blessed with and love sharing what we do here with anyone interested in learning. We enjoy sharing our little piece of heaven on earth with others who might be interested in farming with dairy goats. We do accept visitors but due to the busyness of farm life we ask that you contact us ahead of time to set up an appointment. We thank you for understanding! Images Copyright Misty Highland Farm.